Fresh on the heels of the release of the first Yo Gabba Gabba! CD release Yo Gabba Gabba! Music Is Awesome!, hitting the shelves nationwide on October 20, W!LDBRAIN and S2BN Entertainment present Yo Gabba Gabba! Live! There’s A Party In My City, the first live U.S. touring show. A one-of-a-kind live event, the tour will kick off on November 14th, and will feature music, animation, games, singing, dancing, and special musical guests. Favorites such as “Party in My Tummy” “Hold Still” and “Get the Sillies Out” will be featured in the show. Special guests will also join the party on stage rocking their favorite ‘Dancey Dance’ moves. Presented using state of the art production elements, Yo Gabba Gabba! Live! There’s A Party In My City will offer audience members of all ages an unparalleled experience. 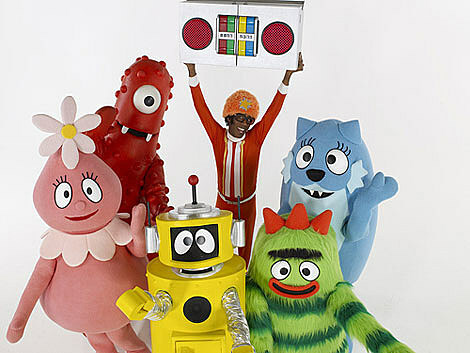 Yo Gabba Gabba!‘s live tour plans to make stops in L.A., Chicago and NYC. The New York show happens Saturday, November 21st at Beacon Theatre, where there’ll be 11am and 2pm sets. Tickets are currently on AmEx presale. There’s a “Gabba Mail” presale (their mailing list) starting October 6th at 10am. Then general public sale starts October 9th at 10am. 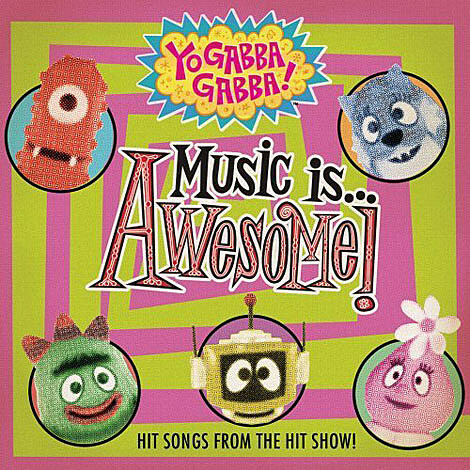 The album Yo Gabba Gabba! Music Is Awesome! comes out October 20th on Filter US Recordings. The show is pretty well known for its musical guests (Mark Mothersbaugh from Devo, Biz Markie, Chromeo, I’m From Barcelona, Mark Kozelek) and the fact that its co-creator, Christian Jacobs, is MC Bat Commander from The Aquabats. Those guests are respresented on the album, as is Of Montreal, with the song “Brush Brush Brush” (about brushing your teeth) posted above.